He is adorable!! So glad your ostomy is back to normal now. Enjoy! Congratulations Stephanie. Such wonderful news and I was thrilled to hear you are doing well! Looks like he was all worth it!!! He is perfect!! So happy for you and Jarrod!! Congratulations on your blessing and so happy to hear mama is well!!! Congratulations! 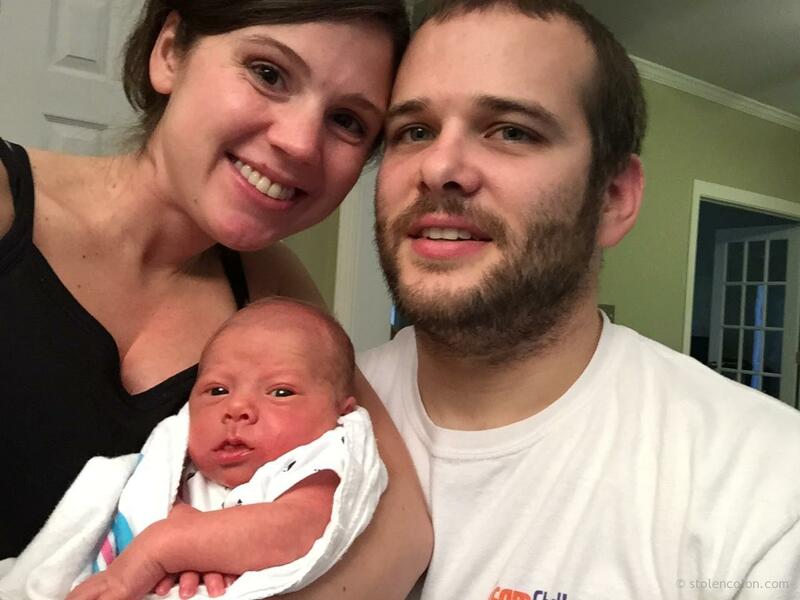 Thank you for sharing your journey of pregnancy with an Ostomy! I had my first baby last July at 35 wks and she was perfectly healthy. But my Crohn’s flared the entire time and became much worse after I delivered. No meds were working and I had a colectomy and ileostomy placed by October. I’ve been feeling great ever since. I am now 6 weeks pregnant and no signs of Crohn’s. I’m very worried how my growing tummy will affect my Ostomy. I’m so thankful to hear your story it gives me hope and reassurance that I can have a normal pregnancy. Congrats again! Aside from the bowel obstruction did you have any Crohn’s symptoms? Any tips on preventing leaks with a growing tummy? 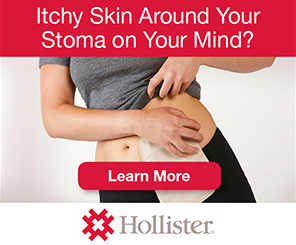 Did you find the Ostomy was super noticeable as the baby grew? Thank you! Congratulations on your beautiful bundle of joy – I LOVE his name!!!! What a beautiful family! Congrats! Omg Steph! He’s presh. Congratulations on this sweet little bundle. Xoxox. Glad you’re home and healing. Congratulations!!! You are truly such a wonderful, inspirational person. Time goes by so quickly, enjoy all the wonderful things that motherhood has to offer. Congrats Stephanie and Jarrod!! He is adorable!! Great news!! Congratulations to you and your family. Wishing Waylon the very best in life. You are an insipiration and a role model for us. Stay brave. Congratulations to the whole family! Glad you’re feeling better too! Congratulations your baby is adorable! Congratulations on Waylon! He is a cutie. So adorable! Congratulations! And as far as an NG tube-it might work- but honestly the worst thing I’ve ever experienced. I’m glad you are feeling better. What a blessing! Congrats! Hoping you regain strength quickly. Congratulations! Glad you have a beautiful healthy son. I’m so glad that you are feeling much better. Congratulations!! He’s so cute. I’m so glad you’re feeling better. Congrats to you Stephanie, your husband & your lil bundle of joy!!! Beautiful! Cannot wait to get my hands on him! Big congrats! So happy for you guys!! He is beautiful! He is so so sweet! I’ve had my ileostomy for 8 years. Had my first baby 4 years ago and my second 1 year ago. I’m having a bulge at my stoma that I can push back in so I went looking on the Internet for some advice and found you!! With my first I was hospitalized for a week with a blockage! It was awful! With my second I ate fewer fruits/veg and only had three blockages that were minor enough not to be hospitalized. I feel for you!! But what a sweet guy you got! I’ll be keeping up with you now to see how your abdomen comes back together and if we have anything in common. I didn’t have this issue with my first babe so I’m guessing you won’t either. Take care and congratulations!! Beautiful my dear! Your hubby looks more women than you! Congratulations! It’s a sweet sweet gift. Congratulations Stephanie! How wonderful a new little person in your life. God bless your family. Congratulations, Stephanie! Thrilled for you and your family. Congratulations! So proud of you and wish you good luck! Your my hero! Congratulations! New life…what a miracle! Congratulation and best of luck to you and your new baby Waylon. God bless you and Waylon and your husband.